thanks will visit the amazon site… and then look to the other for the best price . i placed my orders and will be shipped the raven and the mist’r soon to come. thanks for the heads up and i’ll keep you informed as to results. @ Ipso…my astro post was about prevention only, colloidal silver is not something that I would consider for prevention purposes. But for sure, have it on hand along with the best lung herb known – Lomatium Root tincture (which should be taken along with Dandelion Root tea to prevent hives). december comex gold is forming a nice reversal up. If this keeps up, it will also be a reversal up on the weekly chart. The usdx is looking weaker against the Aussie $ and the euro. I’m trying to sell some at the money calls and buy double the number of out of the money calls on the Aussie$. Looks like we are in for some rough sledding. We shouldn’t forget the colloidal silver either, maybe another weapon against ebola. little pop today because of nukes ..
a prepared combination of the oils that can be bought? also how do you use the oils combination? Fednav, Canada’s largest ocean-going dry-bulk shipowning and chartering group, has sent the Nunavik, its most modern icebreaking ship on a historic voyage. According to the 70-year old shipping company the Nunavik will be the first vessel to carry a cargo of Arctic origins the full length of Canada’s Northwest Passage from Baffin Bay through the Bering Straight. The ship is loaded with a cargo of nickel concentrate from Nunavik’s Deception Bay destined for the port of Bayuquan, northern China. With its Polar Class designation, the Nunavik is capable of independent operations in harsh arctic conditions, says Montreal-based Fednav which operates the world’s largest fleet of ice-class bulk carriers. With the Chevy Blazer, if the gas cap is loose, or a crack in the gasket, it trips that stupid light on. Then, your car won’t pass inspection, until they diagnose $79.95, the non-existent alleged problem. Its just another tax to pay other people for something you don’t really need. P.S. After they turn the light off, you have to drive 200 miles to set all new codes before inspection the 2nd time. CNBC: How Ugly Will Gold Sell Off Be? DATA: October 8, 2014 @ 6:52 a.m. EDT – Washington, D.C. The Full Moon Lunar Eclipse falls into the 7th house @ 15* Aries 06’. Aries is a Fire Sign ruled by the planet Mars, symbolic of offensive power. Aries and Mars are associated with heat, fire, war, fevers, pestilence, illness, accidents, weaponry, crime, controversies, and tumult. The 7th house rules adversaries, open enemies, and “others.” The Moon is conjunct Uranus and is involved in a Grand Fire Trine with Mars in Sagittarius in the 3rd house and Jupiter in Leo in the 11th house. The element of fire is vital, self-expressive, and spontaneous in action. It seeks to experience itself through the direct exhibition of its potential. As the Grand Trine operating through this energetic element normally gives vitality-plus there is the possibility that it may express as high resistance to germs…a blessing from on high at this momentous time. The worm in the apple manifests in a 3rd house Pluto in Capricorn, forming the Apex of a T-Square with the Eclipse…the worm being that Pluto rules viruses. Both Moon and Sun are separating from the squares to Pluto meaning that the viruses have already been unleashed…via our open borders and via travel (Pluto in 3rd). Our best bet, considering the Grand Fire Trine, would be to assist ourselves by means of prevention. It isn’t enough to sequester ourselves, we also need to build our immune and respiratory systems to the end that they are better able to ward off disease. My suggestion is to focus on eating only that which is nutritious to give our immune systems the ammunition it requires to keep germs at bay…and to diffuse essential oils in our homes, cars and work places that address the respiratory system, such as those oils that are contained in the Thieves Blend: cinnamon bark, clove, lemon, eucalyptus and rosemary…and other antiviral/antibacterial oils like thyme, melaleuca and oregano. Clove bud…200 drops – Lemon…175 drops – Cinnamon bark…100 drops – Eucalyptus…75 drops – Rosemary…50 drops. mr copper oh so true. if it wasn’t for the v-ster none of us or at least i can say the large majority of us would have never met. we also put together in 2003 the GBZ aka goldbugz site which was an invitation only yahoo group for the purpose of having a backup to hang our hats on if the v-ster-bopper bopped us to oblivian. we capped membership at 36 and when the v-ster site fell into dis-use on the opening of goldtent posters paradise from our 36 members and many g-e posters made a move over to pp the fate of v-ster-bopper was sealed. 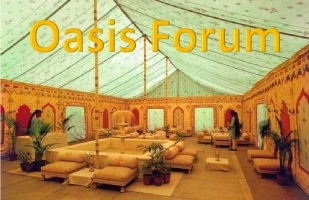 and now out of the posters paradise comes goldtent oasis current. yes we should thank the v-ster for introducing us all….and after thanking him…. (Reuters) – Pro-democracy protests in Chinese-controlled Hong Kong subsided on Monday as students and civil servants returned to school and work after more than a week of demonstrations, but activists vowed to keep up their campaign of civil disobedience. Protesters lifted a blockade of government offices in the heart of the city, which had been the focal point of their action which initially drew tens of thousands onto the streets. The civil servants were allowed to pass through protesters’ barricades unimpeded. Yes they were great times back then. Ya know? If it wasn’t for the Vron, none of us would have met each other. His site somehow attracted a lot of us thinkers. We should be thankful for that one thing. Great conversations were common. I save lots and lots of posts from those days. macroman 00:44 really really needs a dentist me thinks….